Space, strength, and comfort come together harmoniously in the new GMC Yukon XL, available at your local Buick and GMC dealer near Raleigh and Durham. 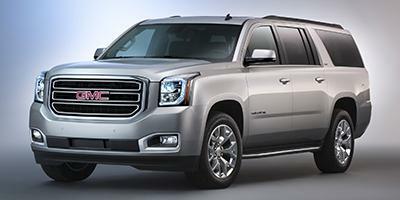 The GMC Yukon XL is an extended SUV that is dependable and a great vehicle for families. It offers three full rows of seats and room for up to 8 passengers, so the entire family will have lots of space for more cargo. Tech improvements and safety features such as built-in 4G Wi-Fi and Side Blind Zone Alert will keep you connected and safe on the road. With all these features, the Yukon XL is the ideal vehicle for road tripping with its max towing rating of 8,100 lbs. and heavy-duty trailering abilities. Come over to your local Buick and GMC dealer near Raleigh and Durham. Look through the inventory of GMC Yukon XL models in Cary and select the color and trim that are right for you. We have a large inventory of new Buick and GMC models. Give us a call at 919-439-7749 or contact us online. We will be happy to help you out. You can also request a quick quote online!